al occasion to hail Bahraini Women’s success in reaching the highest influential positions in their country, as this year’s theme for Bahrain Women’s Day is “Women in the Legislative Authority and Municipal Councils”. rtance of celebrating women in women in the legislative authority and municipal councils that is coincided with Bahrain’s parliament and municipal council elections ended in, this race marks Bahraini Women’s Day and shows that women can compete with their peers in all fields – legislative or otherwise. It showcases their qualifications, capabilities and that they are always at the forefront of things. On this occasion, Chairman of BAB Mr. Adnan Ahmed Yusuf, congratulated Her Royal Highness Princess SabeekaBint Ibrahim Al Khalifa on behalf of BAB, all its members and officials of Banking sector in Bahrain, stressing that the growing role of Bahraini women in the banking sector affirms the success of the strategies and policies that her Highness is devising to support Bahraini women. He attributed the success of Bahraini women to the reform process started by His Majesty and patronized by the Supreme Council for Women headed by Her Royal Highness Princess Sabeekabint Ibrahim Al Khalifa, wife of HM the King. 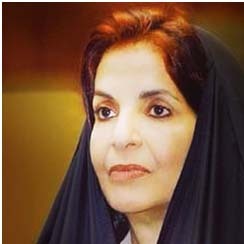 He pointed out that SCW, headed by Her Royal Highness Princess Sabeekabint Ibrahim Al Khalifa, to was able embody His Majesty’s vision into projects, plans and programs that enhanced the leadership of Bahraini women and opened the door to raising their contribution to the advancement and prosperity of their society.